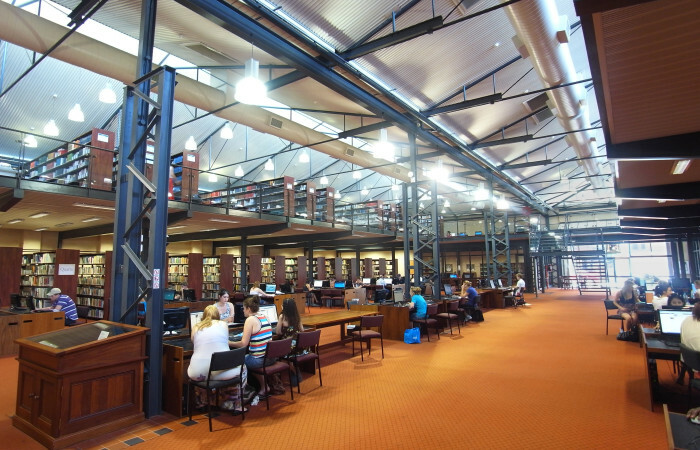 The interior of the St Teresas library was first adapted from its 1960’s warehouse shell to be the University’s main Library in 1994. At the time only very limited, low cost adaptive re-use works could be afforded. 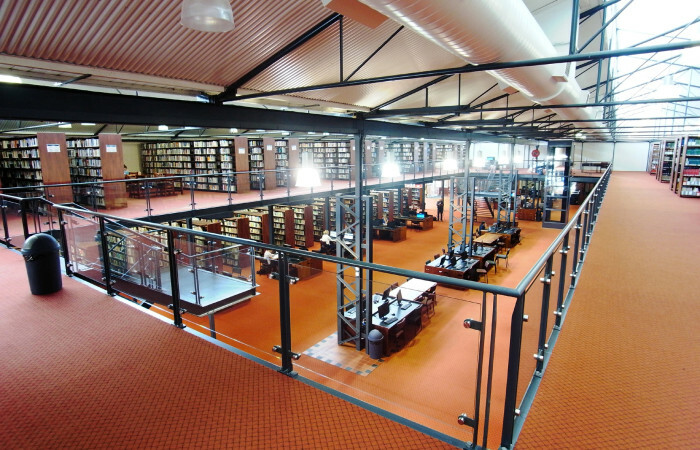 The 2011 internal fit out of the library, including construction of a mezzanine floor together with other works including CGI ceilings and air-conditioning, bringing to fruition, the original intended design for the Library. 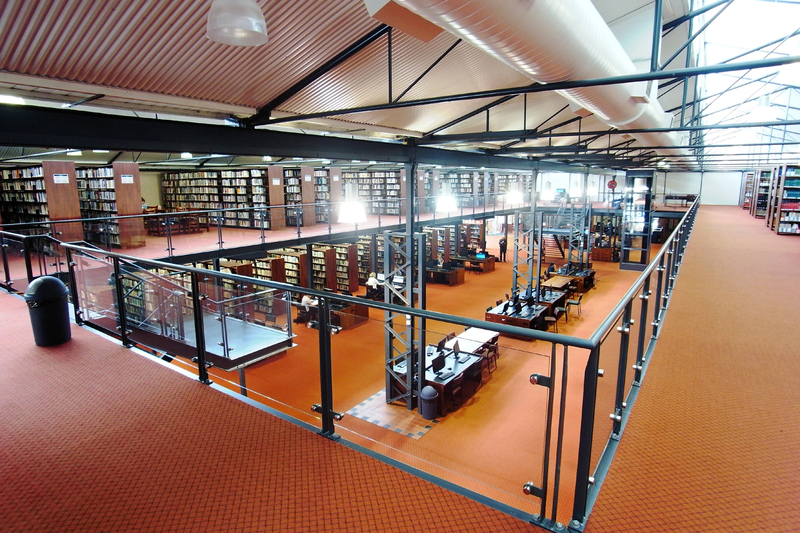 The works increased the library area by 1200 m² and has provided a significantly larger and more sophisticated library at a low cost. The aesthetic goal for the mezzanine additions was that it built on the 1960s industrial appearance of the original warehouse roof and columns to provide maximum floor area without turning it into a two storey building. This affect was achieved by maintaining the visual internal height of the original building with a large central atrium. The industrial detailing of the steel framed mezzanine, the stairs and the lift has strongly reinforced the look. The fact that the steel and structural plywood floors are all dry construction and that footings under the columns were not necessary due to the original concrete floor being designed to handle warehouse loadings, further improved the cost/value outcome. 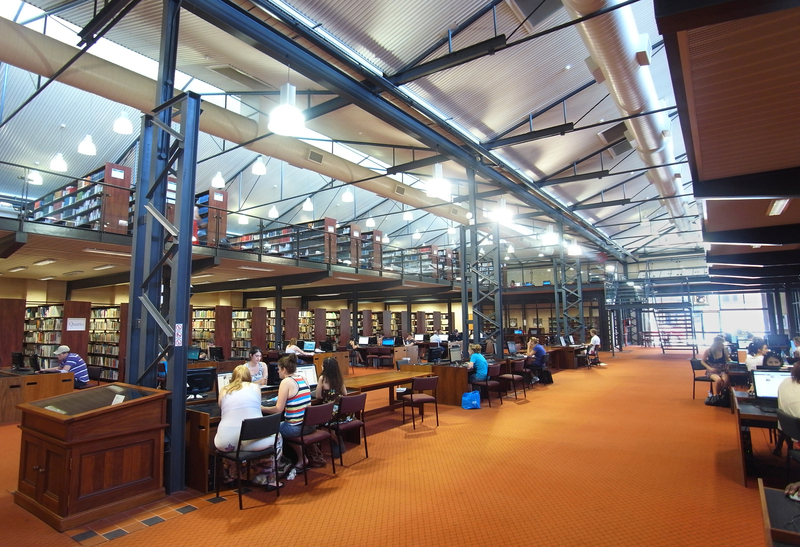 The works were able to be completed during summer holidays which caused minimal disruption and even allowed most of the library stacks to remain in place during construction.